We had a fabulous time at Ancala Country Club yesterday! 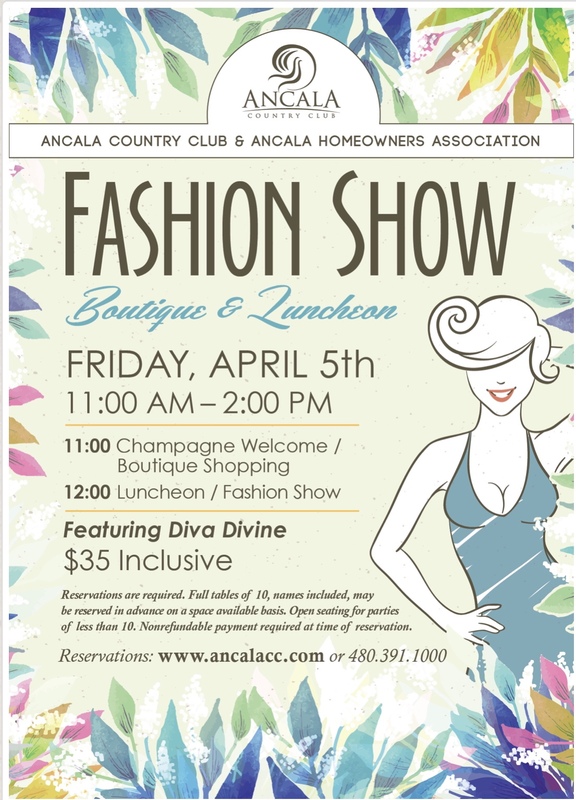 The women of the Ancala Country Club and Homeowners Association were a dream to work with. The models looked beautiful in ALL 30 of their Diva Divine outfits and everyone had fun! Thanks again to the Ancala ladies for asking us to be a part of this amazing event. Stay tuned as photos from the fashion show will be posted soon!